The rumors that began to circulate late yesterday appear to be true. Multiple sources at both Petty Enterprises and Gillett-Evernham Motorsports have confirmed to Sirius Speedway that there will be no 61st season of NASCAR competition for Petty Enterprises. After 10 championships and more than 200 victories, the team will close its doors at the end of business today and merge with Gillett Evernham Motorsports under the new name Richard Petty Motorsports. After what were reported to be some starts and stops in recent weeks, the merger was finally completed on Christmas Eve, with a formal announcement of the merger expected early next week. It is expected that the familiar #43 Dodge will be driven next season by Reed Sorenson, with Kasey Kahne continuing in the #9 Dodge, and AJ Allmendinger replacing Elliott Sadler in the #19. Petty Enterprises will reportedly lay off almost all of their remaining employees today. CEO David Zucker, who has been with the team since the Boston Ventures equity firm purchased a majority interest in June, will reportedly be assigned to the Richard Petty Driving Experience. Executive Vice President of Racing Operations Robbie Loomis will assume a management position with RPM, while former #43 carchief Ray Fox Jr. is expected to jump to JTG-Daugherty Racing and work with driver Marcos Ambrose. There has been a wholesale changing of the guard at Gillett-Evernham Motorsports, with team officials electing to replace Elliott Sadler with AJ Allmendinger at the wheel of their No. 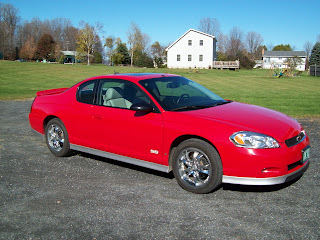 19 Dodge. Allmendinger drove GEM’s #10 Dodge in the final five races of last season, recording an average finish of 16.4. He also endeared himself to team personnel with his off-track attitude, and reportedly forged a solid relationship with teammate Kasey Kahne. Gillett-Evernham CEO Tom Reddin announced the impending driver change to team employees just before the holidays, and sources within the team say the reaction was mixed. Sadler signed a two-year contract extension with GEM in May, and sources say team owner George Gillett will now be forced to buy out those additional two years. Sadler has already begun making calls to try and find a ride for next season. Sources tell Sirius Speedway that Gillett is heavily leveraged from the original Evernham buyout, as well as from a number of automobile dealerships he purchased earlier this year. He reportedly faces a major payment on his Liverpool Football Club, which plays in the English Premier League, as well. A deal that would have merged GEM with Bill Davis Racing fell by the wayside a few weeks ago, reportedly after Gillett was unable to obtain financing to complete the transaction. Gillett has recently been involved in negotiations to merge GEM with Petty Enterprises. Sirius Speedway reported two weeks ago that the merger had stalled, and while that report was immediately denied by a GEM spokesman, Sadler’s release appears to indicate that the deal is indeed in jeopardy. A combined GEM/Petty operation was expected to field four cars in 2009; enough to retain Kasey Kahne, Reed Sorenson, Sadler and Allmendinger. GEM announced earlier this month that it will scale back its 2009 NASCAR Nationwide Series operation, after losing sponsor Unilever to JR Motorsports. The team recently laid off approximately 65 employees. Watch Martin "Marty On The Mountain" Engstrom do his final report from the top of Mount Washington for WMTW-TV in Poland Spring, Maine. CLICK HERE to see it, and wait for the end to see the cheesy grin! 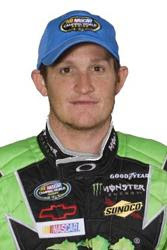 Former motocross champion Ricky Carmichael has signed a contract with Kevin Harvick, Inc., and says a sponsorship deal is close that would allow him to run a partial schedule on the NASCAR Camping World Truck Series in 2009. 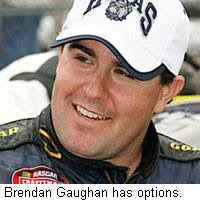 Brendan Gaughan is in serious negotiation to drive a NASCAR Nationwide Series Chevrolet for Rusty Wallace Inc. next season. The team’s #64 Chevy was driven last season by David Stremme, who will replace Ryan Newman in Penske Racing’s #12 Sprint Cup Series Dodge for 2009. The deal has not yet been finalized, however, because Gaughan is waiting for a final decision to be made on Earnhardt-Ganassi Racing’s #41 Sprint Cup Dodge. Sirius Speedway reported earlier this week that veteran Bobby Labonte will drive the #41 next season, and he remains the leading candidate for the ride. However, a sponsor Labonte hopes to bring to the team has not yet come through, putting the partnership – at least temporarily -- on hold. Gaughan was vacationing in Colorado and not available for comment today. NASCAR has settled the $225 million racial discrimination and sexual harassment lawsuit filed by former Nationwide Series official Mauricia Grant, following a mediation session in New York City on December 3. Terms of the settlement were confidential, and neither side has admitted liability or wrongdoing. All parties have agreed not to discuss the case in the future. 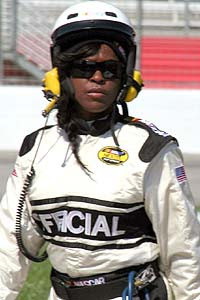 Grant, who is black, worked as a NASCAR Nationwide Series technical inspector from January of 2005 until her firing in October of 2007. NASCAR later said she was terminated after repeated incidents of lateness, and a pair of incidents involving a Michigan track security guard and a fellow official. She filed suit in June of this year, alleging 23 incidents of sexual harassment and 34 incidents of racial and gender discrimination. 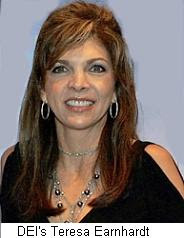 NASCAR investigated her claims and ultimately fired two officials accused in the suit of exposing themselves to Grant, though the sanctioning body has never disclosed specific reasons for their dismissal. A third official was fired in April for what NASCAR said were unrelated reasons. 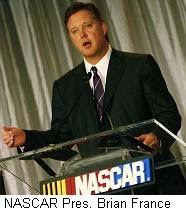 NASCAR spokesman Ramsey Poston said of the agreement, "We're glad to have the case settled on mutually acceptable terms. NASCAR remains dedicated to maintaining a professional work environment for all employees at all times.” Grant's attorney did not immediately comment on the settlement. Sirius Speedway has learned that the much-discussed merger between Gillett Evernham Motorsports and Petty Enterprises has run aground. Anonymous sources say that GEM laid off approximately 50 employees today, and that its NASCAR Nationwide Series team will be cut back dramatically. In addition, multiple sources say that GEM’s #10 Sprint Cup team and driver Reed Sorenson could run only a partial schedule next season. While not commenting on reported problems with the Petty deal, Gillett Evernham Motorsports CEO Tom Reddin confirmed today that major changes are underway. "We are a Sprint Cup team first and foremost, and winning in that series needs to be our primary focus,” he said. “The Nationwide Series is a fantastic series and we certainly look forward to racing a partial schedule in 2009, but we will not run the full season next year. We will remained focused on putting all of our effort behind the Cup program in 2009. GEM is very fortunate to have nearly all of our Cup sponsors returning in 2009 in addition to the new arrival of others." Reddin said that GEM will also restructure its engine department for 2009, to align with a reduced number of engine leasing customers next season. 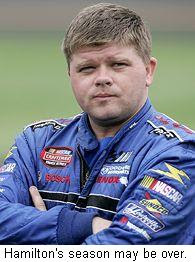 Robby Gordon announced today that he will drive a Toyota in 2009, beginning with the season-opening Daytona 500. Toyota will be Gordon’s third different manufacturer in the last three seasons, after he jumped from Ford to Dodge just prior to the 2008 campaign. He has previously campaigned Toyotas in Off-Road, IMSA, SCCA and Indy Car competition. Sirius Speedway has also learned that Lowe's Motor Speedway will follow the lead of Texas Motor Speedway, removing a large number of seats in the track’s South Grandstand to make way for a luxury RV lot. Destruction of the South Grandstand is reportedly set to begin Monday, with construction of the new lot to follow. Calls to the speedway for confirmation were not immediately returned, but ticket agents began contacting affected season ticket holders earlier today. 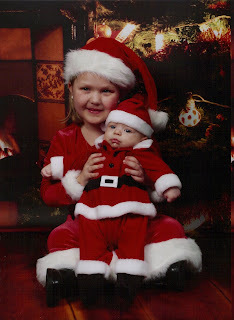 Longtime listener "Pepsi Steve" Buhala has some gorgeous grandchildren. Not them, the LITTLE ones -- Cayden and Erica! 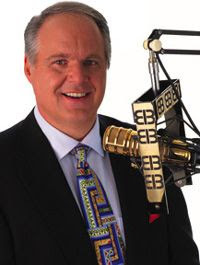 Emily is the granddaughter of listener Dave Perrin of Grand Rapids, Michigan. 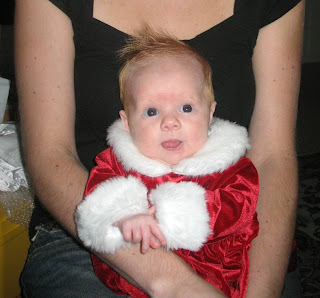 She was born October 30th, and is obviously looking forward to her first Christmas. Thanks Dave! Paul in Pennsylvania has two more adorable additions to the list! 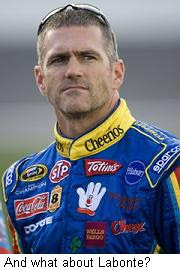 Bobby Labonte will drive the #41 Target Chevrolet for Earnhardt-Ganassi Racing in 2009, joining Martin Truex, Jr., Juan Pablo Montoya and Aric Almirola as part of a newly merged, four-car team. Labonte has not commented since announcing his split from Petty Enterprises last week, and the new Earnhardt-Ganassi operation remains in a virtual media lockdown. However, multiple sources close to the situation tell Sirius Speedway that a deal to put Labonte in the #41 is signed, sealed and delivered, after receiving the approval of sponsor Target. Work has already begun on the necessary promotional infrastructure -- photo shoots, marketing campaigns, ancillary programs, etc. -- for the coming season. 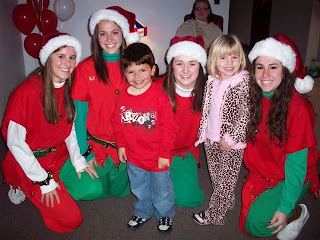 Holly Is The Godfather's Second Christmas Elf Of 2008! She will celebrate her first birthday on December 23rd! 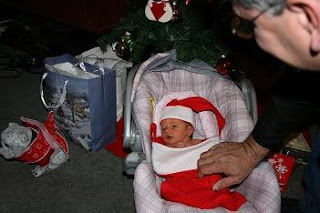 Chrissy Is The Godfather's First Christmas Elf Of 2008!! Thank You Chrissy! Bobby Labonte announced today that effective immediately, he has been released from all contractual obligations with Petty Enterprises, and will turn his attention toward other opportunities for 2009. Terms of the split were agreed upon by both parties. Multiple sources tell Sirius Speedway that Labonte is close to a deal to put him in the driver’s seat of a #41 Target Chevrolet at Earnhardt-Ganassi Racing next season. Petty Enterprises is expected to make an announcing regarding its future later today; most likely concerning a merger or other partnership with Gillett Evernham Racing that could put AJ Allmendinger behind the wheel of the iconic #43 Dodge next season. Red Horse Racing co-owner Tom DeLoach confirmed yesterday what Sirius Speedway told you back on November 10; that defending NASCAR Camping World Truck Series champion Johnny Benson will drive a #1 Red Horse Racing Toyota as a teammate to David Starr next season. DeLoach, who owns the team along with NASCAR on FOX commentator Jeff Hammond, said sponsors are still being sought, and that Benson’s 2008 crewchief, Trip Bruce, will be atop the pit box once again next season. Petty Enterprises released 39 employees yesterday, bringing the total number of layoffs since season’s end to approximately 65. 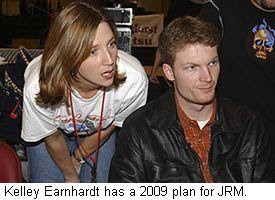 ESPN.com reports that about 54 employees remain, all of whom are anxiously awaiting word from the company on the status of a reported merger with Gillett-Evernham Motorsports that could save their jobs, at least for now. What a sad, sad turn of events for a team that was once universally acknowledged to be NASCAR's finest. Not so long ago, Petty Enterprises was the New York Yankees, the Montreal Canadiens and the Green Bay Packers, all rolled into one. Richard Petty stormed to seven NASCAR Cup Series championships, adding to the three collected by his legendary father, Lee. Third-generation driver Kyle Petty was winning – if not contending for titles – at the uppermost level of the sport, and Kyle’s son Adam showed every sign of extending the family dynasty for at least another generation. Then it all began to go terribly wrong. 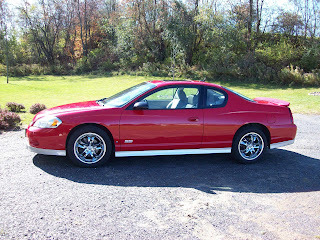 Teams like Hendrick Motorsports, Roush-Fenway and Joe Gibbs Racing evolved almost constantly over the years, fielding multi-car teams and implementing engineering-based approaches in response to the changing times. Petty Enterprises, however, remained grounded in their old-school ways, fielding single cars built by men with wrenches in their hands, rather than slide rules. NASCAR grew and thrived in Charlotte, NC, while the Pettys remained in their cozy little shop, next door to the Level Cross, NC house where “King Richard” was born. Then Adam Petty’s promising career ended in a horrific crash in Loudon, NH, leaving the team without a legacy for the first time in its history. It’s been decades since Petty Enterprises has truly been competitive. Their last win came with John Andretti at Martinsville in 1999, and even then, the days of Petty dominance were long past. Their last championship came 30 years ago, when The King clinched his seventh and final title, and they have not been part of any serious championship discussion in more than a quarter century. The iceberg was struck long ago, and the ship has been taking on water for years. Now, Petty Enterprises is listing badly to starboard, and it is unclear whether the GEM merger will prove to be anything more than ceremonial bilge-pumping. 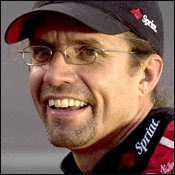 There has been no comment from anyone on either side of the Petty/GEM aisle since reports of the merger broke last week, other than Kyle Petty confirming that he no longer plays any role with the team. "Just three weeks ago, Richard Petty gave an unintended glimpse at the level of desperation that almost certainly surrounds his race team these days, saying, "Mergers…are an emergency situation. If you're drowning, then you're going to get a partner to drown with you. That's basically what it looks like it's going to be. But if they go together, maybe they don't drown." Hopefully, the rescue ship has arrived in time to scoop a few survivors from the water. Sirius Speedway has learned that DEI-Ganassi Racing is making a serious push to add another sponsor to its lineup, in an effort to avoid the possible loss of driver Martin Truex, Jr., and sponsor, Bass Pro Shops. Language in the contracts of both Truex and Bass Pro Shops reportedly requires DEI to field at least two fulltime teammates for Truex next season, and with only Aric Almirola’s unsponsored #8 car likely to return, sources say DEI had little choice but to merge with Ganassi, in an effort to retain their only funded driver. The merged DEI-Ganassi stable now includes Truex’s Bass Pro Shops-sponsored #1, Juan Pablo Montoya’s #42 with partial sponsorship from Wrigley’s, the #41 car with Target sponsorship, and Almirola’s unsponsored #8. Sources say the team made a major push recently to upgrade Fastenal’s NASCAR Nationwide Series sponsorship to a Sprint Cup deal, but were left high and dry when Fastenal declined the offer in order to begin discussions with another major NASCAR team. Where might Truex and Bass Pro Shops land, if they were to opt-out of their current deal with DEI-Ganassi? Speculation centers on Stewart-Haas Racing, with Truex teaming with Tony Stewart and Ryan Newman. Stewart said weeks ago that his team is not looking to field a third car next season, and team spokesman Mike Arning echoed those thoughts today. However, fully funded drivers are few and far between these days. 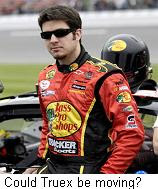 Particularly drivers with the talent of Martin Truex, Jr. Adding another layer of intrigue to the story are unconfirmed reports that Bobby Labonte may be negotiating to jump to DEI-Ganassi Racing, driving the #41 Target car. 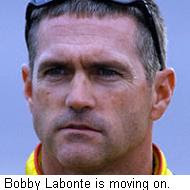 The deal would be contingent on Labonte's ability to negotiate an exit from Petty Enterprises, where he is signed through the 2012 season. A spokesman for DEI-Ganassi Racing said today that while he has heard Labonte’s name as one of many rumored to be in the running for the #41 car, he has no knowledge of any ongoing negotiations. A number of cards obviously remain to be dealt at this point. But at present, the most likely scenario appears to be for Labonte to negotiate his departure from Petty Enterprises, allowing him to move to DEI-Ganassi Racing with sponsorship from Target. That would keep Truex and his Bass Pro Shops sponsorship in-house, opening the door for AJ Allmendinger to drive the #43 Dodge next season for the newly merged Gillett-Evernham/Petty Enterprises tandem. Jimmie, Part III: Jimmie Johnson and Chad Knaus did what only one other team in the history of the sport had ever done, winning their third consecutive Sprint Cup Series championship. Incredible consistency combined with seven victories to make the #48 team the best in the business once again, and they will almost certainly be favored for a four-peat in 2009. Carl Edwards: He combined aw-shucks humility, the kind of intensity that prompted him to wrap his hands around a fellow driver’s neck every now and again, and the raw skill necessary to compete for both the Sprint Cup and Nationwide Series championships. A premier wheelman who’s great with the fans and media, as well, Edwards will be a part of NASCAR’s championship picture for years to come. Kyle Busch: Eight wins in the Sprint Cup ranks, combined with 10 Nationwide victories and three more in the Truck Series made Shrubby the fastest gun in NASCAR this season. The air went out of his balloon once the Chase began, but Busch served notice that he will be someone to reckon with in 2009, and beyond. The COT: Pronounced “dead on arrival” and “undriveable” by some drivers and media members a year ago, NASCAR’s new racer improved dramatically in 2008. It raced well just about everywhere, despite having its implementation timetable accelerated by one full year. It also saved Michael McDowell’s life in an early April qualifying crash at Texas Motor Speedway. `Nuff said. Empty Seats on Race Day: The plunging economy took its toll on NASCAR this season, with empty seats the norm at most venues. Skyrocketing gasoline prices trimmed the number of motorhomes in the infield lots, as well, making it a gloomy season for track operators. The good news is that there were still between 60,000 and 100,000 fans at most races; numbers that make the NFL, NBA and Major League Baseball pale by comparison. Hornaday’s Media Nightmare: After a Mike Wallace/60 Minutes-style ambush interview in early September, ESPN The Magazine writer Shaun Assael set new standards in yellow journalism when he wrote that former NASCAR Craftsman Truck Series champion Ron Hornaday had “received shipments of testosterone and human growth hormone from an anti-aging center that has been linked to drug-related scandals in the NFL and Major League Baseball.” In his zeal to portray Hornaday as a 600-horsepower version of Jose Canseco, Assael slow-played the fact that Hornaday briefly used only a mild steroid cream to treat a diagnosed case of Graves disease. After a shameless, weeklong media frenzy, Hornaday was cleared of any wrongdoing. No apology was ever issued by Assael or ESPN The Magazine. Indy: There’s plenty of blame to be shared for the July 27 debacle at the Brickyard. Goodyear failed to adequately test the tires they planned to use in the event, NASCAR stubbornly insisted that the problem would fix itself in time, and race teams continued to “push” tires that clearly were not up to the challenge. End result? A stop-and-go race that would have tested the patience of Job, thousands of irate fans and a public relations nightmare of unprecedented proportions. It’s not over yet, either. Just wait and see what the ticket sales look like for the 2009 edition. Plight of the Open Wheel Rookies: Jacques Villeneuve never made it out of Daytona Beach in February. Dario Franchitti had barely gotten his bearings when a broken leg in a Talladega Nationwide race sidelined him for more than a month. Lot long after returning, his team was shuttered due to lack of sponsorship. He’ll be back in an IndyCar in 2009, after never truly getting a fair crack at NASCAR. Fellow Open Wheel alum Patrick Carpentier was a victim of… well, I’m not sure what he was a victim of, other than a team that was unwilling to wait for a rookie driver – a driver they chose -- to adapt to his new surroundings. Simply put, Patty C took a royal screwing this year. The Layoffs: The excitement of Ford Championship Weekend at Homestead-Miami Speedway was muted by a series of layoffs that shook the NASCAR garage. A handful of particularly tactless teams laid off employees in the back of their haulers before the season finale, and the blood-letting continued in Charlotte the following week. In all, it is expected that 700-1,200 workers have lost their jobs in the last month, as teams tighten their belts for what will certainly be a leaner season in 2009. 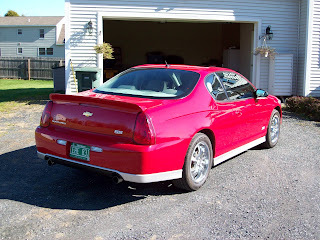 Loyal listener "Pepsi Steve" Buhala checks in with his version of a possible James Hylton-driven Chevrolet for the 2009 Daytona 500. Click on the photo for a larger view. General Motors announced yesterday that In an effort to cut costs, it will opt-out of its endorsement deal with golf megastar Tiger Woods. 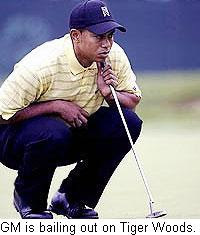 Tiger’s endorsement deal with Buick is reportedly worth $7 million per year, and had at least a year remaining. Chevrolet has also trimmed its spending in NASCAR recently, with cutbacks in event sponsorship, signage and support programs like pace cars and safety vehicles. But Chevrolet’s decision to continue supporting teams like Hendrick Motorsports, Richard Childress Racing, and the new Earnhardt-Ganassi and Stewart Haas Racing teams – to the tune of a reported $100 million per year – says a lot about the return GM brass is apparently seeing on their NASCAR sponsorship dollar. 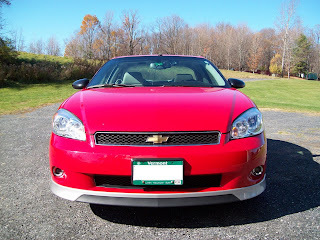 Clearly, General Motors believes it is getting more from its relationships with Jimmie Johnson, Jeff Gordon, Tony Stewart and Dale Earnhardt, Jr., than it is from its relationship with the man recognized as arguably the greatest golfer of all time. That has got to be a good sign. Carl Edwards’ USAC Silver Crown Series driver was critically injured in a highway crash Wednesday in Indiana. 20-year old Cameron Dodson was thrown from his vehicle when it left the road and crashed into a ditch near his home in Greenfield, Indiana early Wednesday. He was airlifted to Methodist Hospital in Indianapolis and is listed in critical condition with undisclosed injuries. 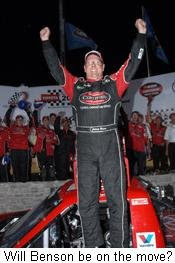 The 2007 USAC Silver Crown Series Rookie of the Year drove four races for Edwards’ team this season, with a win, two seconds and a sixth-place finish, including a runner-up showing in the annual Copper Classic at Phoenix International Raceway two weeks ago. Authorities said Dodson was not wearing a seat belt. 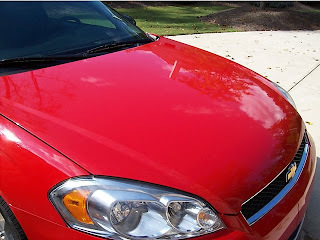 CALLING ALL CARS -- BE ON THE LOOKOUT FOR THIS SHADY CHARACTER! 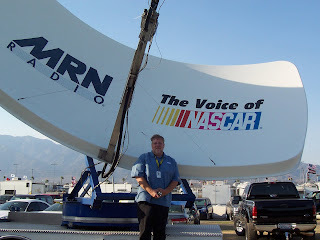 "Sirius Speedway's Most Wanted," aka Mike Weaver, pictured with the MRN Radio Satellite Truck. If you see him, tell him you love him in that oh-so-special way!! These are trying times for those who work in the motorsports industry in Charlotte, North Carolina. NASCAR is downsizing, with new rounds of employee layoffs announced on a daily basis. And for the tens of thousands of people whose livelihood depends on the roar of racing engines, the monthly mortgage payment seems suddenly less secure. Furniture Row Racing announced recently that it will cut back to a part-time schedule next season, trimming its employee roster by roughly 25%. Wood Brothers Racing cut its Sprint Cup and Craftsman Truck teams by a reported 25 people this week, and both Stewart-Hass and Hall of Fame Racing handed out multiple pink slips of their own. Dale Earnhardt, Inc., terminated more than 100 employees recently, and there have been cutbacks at Hendrick Motorsports and Joe Gibbs Racing, as well. The Wood Brothers, DEI and Hall Of Fame layoffs can be directly attributed to an inability to attract sponsorship in these tough economic times. Furniture Row’s cutbacks came after discouraging forecasts on the housing and retail fronts. Not every team is laying off employees in response to a looming financial crisis, however. Some are simply tightening their belts after realizing that they’ve been living too high on the hog for too long. While a sagging economy is to blame for many of the layoffs scything their way through this sport, seven-time Cup Series champion Richard Petty says he and his fellow team owner share some of the blame, as well. Petty said, "We've all overspent. We had it so good we just kept going forward without saying, 'What if it goes bad?'" Many of King Richard’s fellow owners admit – off the record, of course – that bad business decisions have exacerbated the current economic downturn, and that they are now paring-back operations that grew larger (and flashier) than necessary. As little as a decade ago, teams won races with only a small handful of mechanics and fabricators. They built the cars, then loaded them on the transporters and followed them to the racetrack, serving as race day mechanic and over-the-wall crewmember, all in one. NASCAR’s new Car Of Tomorrow has swelled the corporate payroll, as well, as teams attempted to develop the new racecar while continuing to race the old model. Now that the COT has been fully implemented -- a year ahead of NASCAR’s original schedule -- there is less R&D being done, fewer cars being built, and less need for all those engineers and fabricators. Jack Roush said recently that most of those laid off at Roush-Fenway Racing have been fabricators. 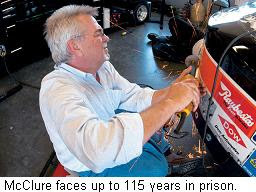 “If you look at where we were a year ago, we were running two different kinds of cars,” he said. “That required a staffing increase for most of the teams.” Now that the COT has been refined and implemented, those workers are no longer needed. The last few weeks have been extremely difficult, and there is more hardship to come. Every pink slip handed out is a real person; with a real family, a real mortgage, and real bills to pay. Let's not lose track of that sad fact, even as the sport undergoes what many believe is a long overdue correction in course. I have heard from at least four different people today that crewmembers were being released in the back of their respective transporters yesterday; told that they would no longer be needed on their return to town this morning. I understand that NASCAR Sprint Cup Series racing is a business. Big business. I also understand that the realities of today’s economy make dramatic cutbacks necessary. By the time it’s over, an estimated 750 to 1,000 people will be newly unemployed here in the Charlotte area, but firing someone before the final race of the season – in the back of the hauler, no less – is a thoroughly classless way to do business. Sources close to the new Dale Earnhardt, Inc./Chip Ganassi Racing alliance say the decision on who drives their #41 car next season is down to two drivers; Scott Riggs and AJ Allmendinger. Riggs has sponsorship money from State Water Heaters and Hunt Brothers Pizza to bring to the deal, while Allmendinger has impressed with his on-track performance this season. If Riggs gets the nod, Ganassi Racing’s Target sponsorship will reportedly move to the #8 Chevrolet, to be driven next season by Aric Almirola. Team principals were reportedly waiting to see the results of yesterday’s race before deciding who gets the ride. Both drivers had good days, with Allmendinger finishing 11th and Riggs 14th. In a related story, Richard Childress said this weekend that a meeting is scheduled for tomorrow to finalize plans to bring Ganassi Racing into the Earnhardt-Childress Racing Engines program. He said he expected those talks to be successful, even though Chip Ganassi has expressed a desire to keep his own engine program going. Childress did not rule out the possibility of some of Ganassi's engine shop employees moving to ECR. The long-speculated partnership between Dale Earnhardt, Inc. and Chip Ganassi Racing with Felix Sabates now appears to be imminent. Sources close to the situation tell Sirius Speedway that while the deal cannot technically be classified as a merger, an announcement is expected within the next few days regarding a competitive and economic partnership between the two teams. The deal will allow DEI and Ganassi to field at least three cars next season with drivers Martin Truex, Jr., Juan Pablo Montoya and Aric Almirola. A fourth car is possible, dependant on sponsorship. There is no word on potential manufacturer affiliations, with DEI currently aligned with Chevrolet, and Ganassi in the Dodge camp. BB&T Backs Bowyer: BB&T Corporation will sponsor Clint Bowyer’s #33 Richard Childress Racing Chevrolet in 11 NASCAR Sprint Cup Series races next season. BB&T’s burgundy and gold paint scheme will be on the #33 Impala for 10 point-counting races –- beginning with the March 8th event at Atlanta Motor Speedway -- and the Sprint Cup All-Star Race at Lowe’s Motor Speedway in May. BB&T will serve as a major associate sponsor for the remaining 26 races, with Cheerios and Hamburger Helper as primary backers. Mark Martin's deal to drive the #84 Red Bull Toyota this weekend at Homestead-Miami Speedway has apparently fallen through. 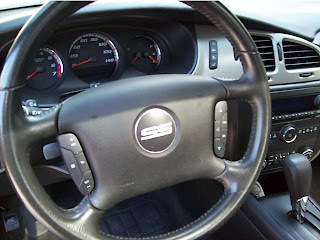 Sources close to the team say the deal was signed, sealed and all but delivered, only to have high level executives at General Motors nix it at the last minute. Martin is set to drive a Hendrick Motorsports Chevrolet full-time next season, and when GM brass got wind of Red Bull's plans, a series of phone calls was made to scuttle the deal just minutes before a press release was to be issued announcing it. The end result is reportedly an angry Martin, a disappointed Red Bull Racing Team, and a "Plan B" that could result in Scott Speed and Brian Vickers trading cars this weekend in Miami. With the #84 Toyota currently 17 points out of the all-important Top-35 in owners' points, it's possible that Vickers could be asked to drive the car this weekend, in an attempt to maximize its points potential. Furniture Row Racing announced today that it will cut back to a limited 2009 NASCAR Sprint Cup Series schedule with driver Joe Nemechek and the #78 Chevrolet. 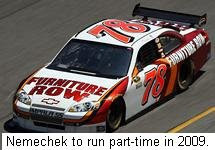 Furniture Row operates as part of the Furniture Row Companies; one the nation's largest furniture retailers. Company President Tom Faulkner said he is reining-in all expenses in response to a plummeting economy and discouraging retail sales projections. "Running a limited schedule is simply a cautionary measure," said Faulkner. "While we've been faring significantly better than most in our category, it's no secret that our business is tied to the health of the economy - in particular, housing starts and real estate sales." In only its third year as a Sprint Cup Series team, Furniture Row Racing is about to complete its best season yet, having qualified for 31 out of the 35 races to date. The highlight of their year was a pole position at Talladega. Furniture Row Racing President Joe Garone said the cutback "has nothing to do with on-track performance," calling it "simply a business decision...of balancing priorities in a tough economy." While no announcements were made regarding staffing or organizational changes, Garone said, "We've got some tough decisions to make. We all know it will take fewer people and resources to run a limited versus full schedule, but we're also optimistic that our best days are still ahead of us." More Merger Mania: Published reports today say that a deal may be in the works to team the legendary Wood Brothers with Hall Of Fame Racing. Hall Of Fame owners Jeffrey Moorad and Tom Garfinkle are not expected to continue their relationship with Joe Gibbs Racing beyond this season, and sources tell Sirius Speedway that serious discussions are underway to forge an alliance with the Wood Brothers and Ford Motor Company. Moorad told FOXSports.com that the team is assessing all its options for the future, and has “talked to a couple of teams about some interesting merger possibilities.” Moorad said his preference is to have the #96 team continue, but that he is open to other possibilities. NASCAR Chairman Brian France said Sunday that the sanctioning body will remain a viable entity, with or without the continued support of General Motors, Ford, Dodge and Toyota. France said the struggling economy and plummeting auto sales could conceivably force one or more of the automakers to reduce support to race teams, or even withdraw from the sport entirely. But he stressed that even if that happens, the sport will survive. “We're not going to live or die if one manufacturer or another has a pullback or pullout," said France. "We're working like mad to make sure it doesn't happen, (and) the sport is on very solid ground that transcends one manufacturer or another." He revealed that he and NASCAR President Mike Helton have met with high-ranking executives of all four manufacturers, and that each of them agreed that the sport remains an important and effective marketing tool. "Each (of them) went out of their way to tell me that while there are pullbacks and cuts to meet these challenges, the last thing would be to abandon something that works so well," he said. 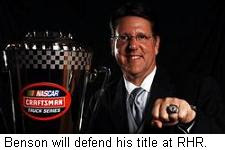 France also expressed confidence that NASCAR will have full, 43-car fields next season. 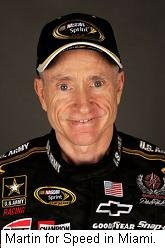 Sirius Speedway has learned that Mark Martin will drive the #84 Red Bull Toyota this weekend at Homestead-Miami Speedway, replacing Scott Speed. Since taking over for the released AJ Allmendinger four races ago, Speed has recorded an average finish of 34.2, including a 40th yesterday in Phoenix. The team has fallen out of the Top-35 in owners’ points, now trailing the Michael Waltrip Motorsports #47 team by 16 points with one race to go in the battle for the 35th position in owner points. An official announcement is expected from the team later this afternoon. Martin enjoys a long relationship with Red Bull General Manager Jay Frye, for whom he drove at the former MB3/Ginn Racing. He ran his final scheduled race for Dale Earnhardt, Inc., yesterday in Phoenix, and will move to Hendrick Motorsports in 2009. His arrangement with Red Bull Racing is for one race only, and will have no impact on the team's long term plans wit Speed. BDR/GEM Merger Off: Team owner Bill Davis said this weekend that a possible merger involving his Sprint Cup Series team has fallen through. Widespread reports in recent weeks had Davis negotiating with Gillett-Evernham Motorsports majority owner George Gillett about a merger or outright purchase of Bill Davis Racing’s Cup operation, with a possible move by Gillett-Evernham to the Toyota camp. Sources told Sirius Speedway this weekend that Gillett has been unable to secure financing for the deal, and that talks have now stalled. Davis did not comment specifically on a rumors of a merger with GEM, but admitted that he thought he had a potential merger done recently, only to have it fall through. 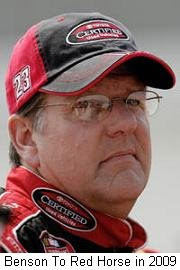 In a related story, sources close to Bill Davis Racing say that NASCAR Craftsman Truck Series point leader Johnny Benson will move to Red Horse Racing next season, taking the majority of his current team -- and possibly his sponsor – along with him. Benson will race as a teammate to David Starr, reportedly with the backing of Benson’s current sponsor, Toyota Certified Used Vehicles. 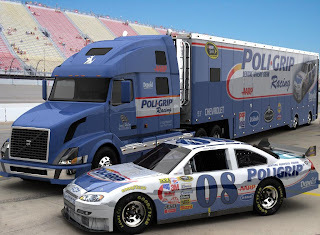 The NASCAR Craftsman Truck Sderies point leader has declined to comment on his future plans recently, saying only that he will not return to BDR in 2009, and has contemplated retirement. However, multiple sources close to the team say that crewchief Trip Bruce has already cleaned out his desk at BDR in anticipation of a move to Red Horse, which is co-owned by Tom Deloach and NASCAR On FOX commentator Jeff Hammond. Starr will reportedly run a full schedule for Red Horse in 2009, with backing from Zachry Holdings, Inc., which joined the team last month. 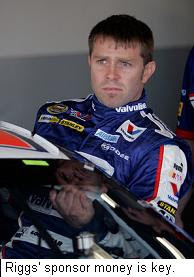 Former Hall Of Fame Racing driver JJ Yeley spoke out about his tenure with the team this week, claiming that Hall Of Fame’s chassis and engine alliance with Joe Gibbs Racing was not what it appeared to be, and that he was unfairly targeted as the cause of the team’s poor performance. 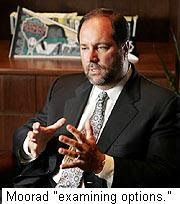 HOF owners Jeffrey Moorad and Tom Garfinkel inherited the Gibbs alliance when they purchased the operation from former owners Roger Staubach and Troy Aikman, and joined JGR in a switch from Chevrolet to Toyota during the off-season. In an interview with the Arizona Republic this week, Yeley claims there was no exchange of technical information between Hall Of Fame and Joe Gibbs Racing, and that he did not receive the same equipment as JGR drivers Tony Stewart, Kyle Busch and Denny Hamlin. "There were promises of big-name crewchiefs and a lot of testing, (but) these were things we never really got to do," said Yeley. “(The owners) started hanging the blame and pressure on me. I hope now they realize it wasn't the driver.” He said Moorad and Garfinkel “thought the relationship (they) had with Joe Gibbs Racing was better than it was. Because they thought they had a better product than they really did, it almost made them blind that they had a problem." 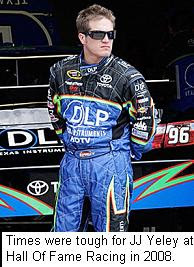 When Yeley failed to qualify for four of the season’s first 21 races, sponsor DLP HDTV exercised a clause in its contract that reduced its payments to the team. Yeley was released in August, shortly after the #96 team fell out of the Top-35 in owners’ points. Garfinkel insists that Yeley’s release was related to performance, not sponsorship. He admitted, however, that the relationship between HOF and JGR was not what he hoped it would be. "We inherited a contract that didn't have a lot of flexibility to it,” he said. “It was more of a customer-supplier relationship than an alliance. We were hopeful we could evolve the relationship in that direction, and that didn't take place." 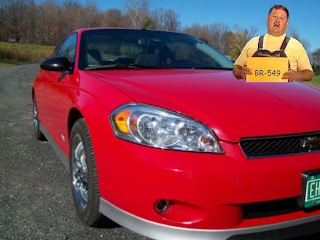 He said there will be no alliance with Gibbs next season, and that the team’s #96 Toyota is not fully sponsored for 2009. Yeley recently hired a marketing firm to help him secure a sponsorship that he says could put him in a Dale Earnhardt Inc. Chevrolet next season. That effort includes an eBay listing offering a full season of NASCAR Sprint Cup racing, in exchange for $12 million in sponsorship. Papers filed in the ongoing lawsuit between Kentucky Speedway, International Speedway Corporation and NASCAR reveal that ISC declined at least one offer to purchase the track, because it did not mesh with the sanctioning body’s expansion plans. Attorneys also repeated their longstanding contention that as a private company, NASCAR has the right to choose where and when it races, saying NASCAR and ISC did not violate antitrust laws by denying a race to Kentucky Speedway. Final arguments have yet to be filed by either side, meaning that hearings will likely not begin until January of next year, at the earliest. In an interesting aside, figures cited in this week’s filing claim that in 206, a NASCAR Sprint Cup Series race was worth $6.51 million to a track operator. Benson Moving? : ESPN.com reported today that NASCAR Craftsman Truck Series point leader Johnny Benson will leave Bill Davis Racing at the end of this season. Spokespersons for Bill Davis Racing declined to comment on the story, which cited a source close to Benson. The team did announce yesterday that 19-year old Tayler Malsam will drive a fourth Toyota Tundra for them on the Truck Series next year. Benson has made no announcement about his 2009 plans, but has hinted that retirement could be an option. 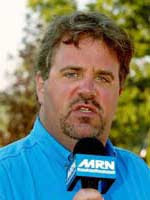 The 1995 NASCAR Nationwide Series champion will join us Thursday on Sirius Speedway. Hendrick Layoffs:The economic downturn has reached the doorstep of NASCAR’s top team, as Hendrick Motorsports underwent what is being termed "a modest round of layoffs" this week that included Jimmie Johnson's spotter, Stevie Reeves. Reeves confirmed Tuesday that he has been informed that he will not return to the #48 team next season, and has already been contacted by other teams about the 2009 campaign. 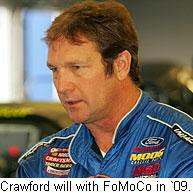 Reeves will spot for Johnson in the final two races at Phoenix and Homestead-Miami Speedways. And Finally: O'Reilly Auto Parts has signed an exclusive, multi-year agreement to become the Official Auto Parts Retailer of NASCAR. The agreement allows for O'Reilly Auto Parts to utilize NASCAR marks and marketing programs in its stores and related media. O'Reilly will become a contingency sponsor, and provide season-ending awards in both the NASCAR Sprint Cup Series and NASCAR Camping World Truck Series. The auto parts chain sponsored six NASCAR races this season, including Sprint Cup and Nationwide Series events at Texas and Phoenix.